WASHINGTON — Jane Fonda, Richard Simmons and Ruth Bader Ginsburg? The 84-year-old Supreme Court justice is about to join the ranks of workout superstars with a book about her exercise routine. 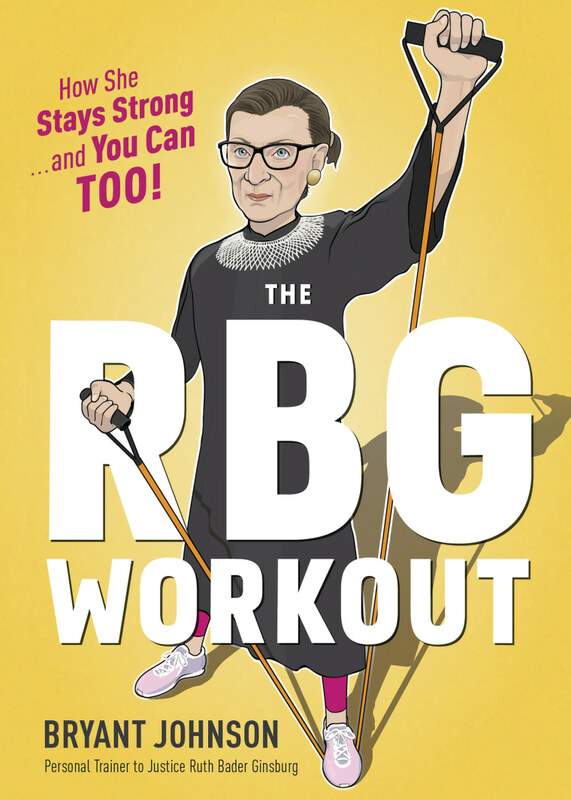 "The RBG Workout: How She Stays Strong ... and You Can Too!" is scheduled to be released Oct. 3, which happens to be the first week the court is in session after its summer break. While Ginsburg stars in the book, she isn't its author. Instead, it's co-authored by illustrator Patrick Welsh and longtime Ginsburg trainer Bryant Johnson, who now also trains Justices Stephen Breyer and Elena Kagan. The 112-page book will feature illustrations of Ginsburg doing each exercise in her routine. She'll be pictured in her judicial robes, with purple leggings and "her trusty sneakers," according to publisher Houghton Mifflin Harcourt . The liberal justice's health has been a topic of interest following the election of President Donald Trump, with liberals hoping she'll outlast his presidency so Trump won't get to nominate a conservative justice to fill her seat. Mentioning her age at an appearance earlier this year Ginsburg noted: "A very important part of my life is my personal trainer." Johnson, an Army reservist whose day job is as a court clerk in Washington, has been training Ginsburg since 1999 following her treatment for colorectal cancer. Ginsburg has said husband told her she looked "like a survivor of a concentration camp" and needed to do something to rebuild her strength. These days she trains with Johnson twice a week for an hour each time, doing exercises including push-ups and the core-strengthening plank. She does two sets of 10 push-ups, and not the easier ones where the knees touch the ground. Ginsburg disclosed the book deal at an invitation-only appearance in Maryland on May 24. Asked to share the secrets of her stamina, Ginsburg said it "won't be a secret for long" because Johnson had been commissioned to write a book about her workout. Details of Ginsburg's workout were previously published in the 2015 book "Notorious RBG: The Life and Times of Ruth Bader Ginsburg." Politico Magazine also wrote about the workout earlier this year. A book of Ginsburg's own writing published in 2016 includes a picture of her working out on the elliptical machine wearing a sweatshirt that says "Super Diva."